Let me begin this review the same way I have began many others. Although this is book number 4 in an established series, you do not have to have read the other novels in order to enjoy this one. Yes, characters from the prior novels do make an appearance in this novel, however there is enough background information given that even if I had not read the other novels I would have had no trouble understanding this one. I enjoyed this second chance romance, even if I did on more than one occasion wish I could physically throttle Hawk and Faith. They each had their own reasoning for their behaviors (both past and present), but I felt like Hawk especially was quick to anger and hurl unfair accusations even though a blind man could have seen that Faith essentially did the only thing she could have at that point. I wish we would have seen more of Faith winning over Hawk's mother as well as she (the dowager) seemed to go from one extreme to the other and while it was explained what had happened, I would have liked to actually "see" the interaction between the two women. 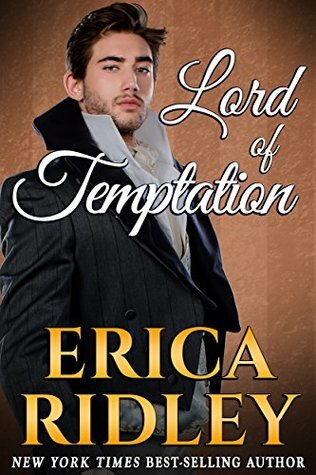 There are a few other things I would have liked to experience with these characters as well, but on the whole I think this is a great addition to the series and will appeal to those who enjoy historical romances. I will definitely read more from this author!